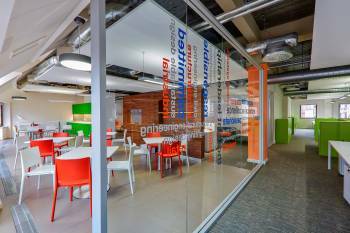 September sees AMP Air Conditioning celebrate its first anniversary following the company’s acquisition by the Panasonic Corporation in September 2017. Since the acquisition, AMP has more than doubled sales of Panasonic’s air conditioning products in the UK and this trend is increasing daily. Polly McConachie, director of AMP, said: “Our success has been driven by our team’s strong customer relationships and this, combined with the quality of products and Panasonic’s high-profile collaborations with technical providers, has delivered record sales. Through continued learning, development and support, we have achieved outstanding results for the overall business. AMP and Panasonic have introduced a variety of innovative new sales tools into the market, including an Extended Warranty Scheme and Panasonic Premier Rewards. 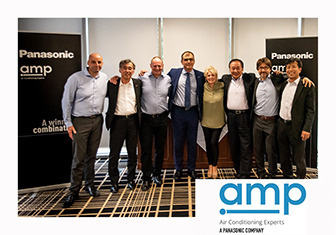 AMP has also recently launched its Premier Solutions Partner Scheme to recognise the technical expertise of its customers and strengthen its bond with the Panasonic brand. Makoto Takahashi, chief executive officer, Panasonic Appliances Air Conditioning Europe (PAPAEU), said: “The acquisition of AMP has seen very positive results over the last 12 months. The aim of the purchase of AMP was to provide outstanding value-added support to organisations benefiting from our heating and cooling technologies, and to continue the successful growth of our air conditioning business across Europe. 2018 marks Panasonic’s 100th trading year and 60th year in the air conditioning market. As part of these celebrations, AMP will also be holding a series of roadshows and events to introduce several new and innovative products into the UK market. 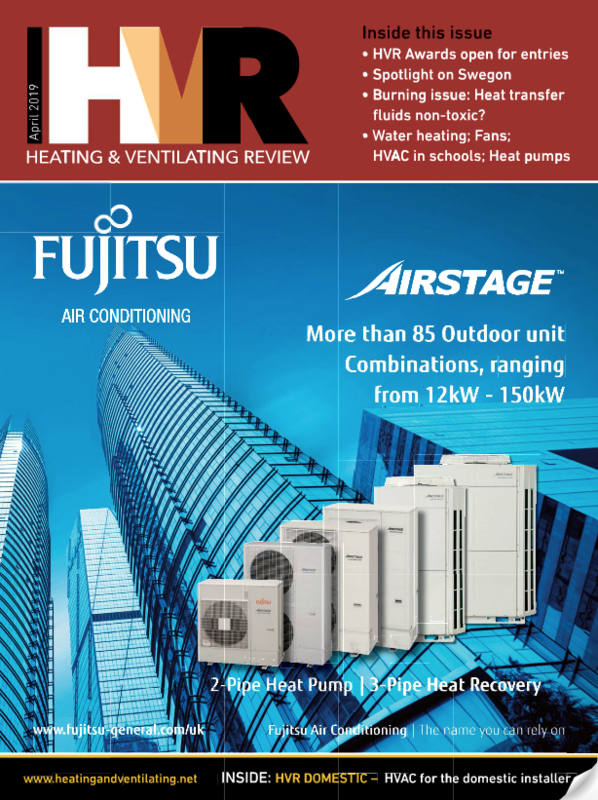 These include Panasonic’s new Hybrid (gas- and electric-powered) VRF and the MF3 VRF system, a full range of R32 splits, datanavi and nanoeTM X technologies, as well as many other new products set to arrive later in the year.